The National Capital Territory of Delhi, with its wetlands and sprawling green cover attracts a wide variety of our winged friends every year. This makes the NCT of Delhi a birdwatcher’s paradise. Surprisingly, Delhi is the world’s second most bird diversity-rich city, after Nairobi. Over 460 species of birds have been recorded in Delhi so far. If you are an avid birder or a nature lover, then grab your binoculars and/or camera and head out to these ten enticing locations. Located near Wazirabad Village, the Yamuna Biodiversity Park (YBP) is located on the alluvial plains of River Yamuna in North Delhi. The site is a nature conservation site for native plants which are otherwise becoming locally extinct in Delhi. The park has 457 acres of grasslands, rich wetlands and was also recently visited by a leopard! Some of the Birds Found: Red-crested Pochard, Shovelers, Gadwalls, Pintails, Cormorants, etc. Nearest Metro Station: Model Town or Vishwavidyala Metro Station. The Aravalli Biodiversity Park is located on the Delhi Ridge – the extension of the Aravalli hills in Delhi. Spanning over an area of 692 acres, the lush-green landscape has a visitor zone and a nature reserve zone. Some of the Birds Found: Red whiskered bulbul, Indian robins, black kites, etc. Spurs of the Aravalli Range, the North Delhi Ridge (also referred to as Kamala Nehru Ridge) is the northern terminal part of the Aravalli hill ranges. The Delhi Ridge is now divided into four fragments, the Northern, Central, South-central and Southern parts. The North Delhi Ridge is the Northern part and now faces considerable threats of encroachment and resultant degradation. However, it continues to support rich avi-fauna and all the four parts of the Delhi Ridge are excellent bird watching sites. Some of the Birds Found: Crow pheasant, Oriental Honey-Buzzards, Woodpeckers, etc. Marking the southern part of the Delhi Ridge, this place is adjacent to the Tughlakabad Fort. It has a vast expanse of dry scrub forests which was once home to lions, leopards and chinkaras. The place now boasts of a wide variety of birds. Some of the Birds Found: Yellow-eyed Babblers, Orphean Warbler, Sirkeer Malkoha, etc. With over 320 species of birds, including several critically endangered species, this place is a haven for feathered beauties. Marking the entry of River Yamuna in Uttar Pradesh, the Okhla Bird Sanctuary is cited as an International Bird Area (IBA) in India. This sites faces considerable threat from the large number of construction activities in its vicinity. Some of the Birds Found: White-Rumped Vulture, Sarus Crane, Indian peafowl etc. The National Zoological Park was set up to conserve the flora and fauna of the country in a habitat resembling their natural one. The place is a popular recreational site. It is closed on Fridays. Some of the Birds Found: Indian Grey Hornbill, Spoonbill White, Egret Little, Myna Hill, etc. Delhi has a plethora of parks and gardens present in various nooks and corners of the city. Lodhi Gardens is one of the more popular among these parks and in addition to the birds, it is common to spot some famous personalities here, busy with their morning or evening walks. Some of the Birds Found: Over 50 species including Doves, Lapwings, Barbets etc. Sanjay Van is yet another significant park in Delhi. Located in Vasant Kunj, it is an oasis of greenery among the hustle and bustle of city life. Some of the Birds Found: Herons, Golden Oriole etc. 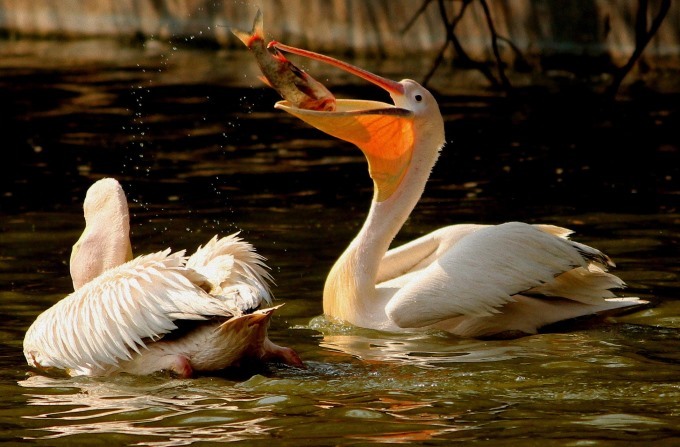 With the presence of about 16 different species of birds, this place is located on the Najafgarh drain or nallah. This drain is actually an elongation of the Sahibi River and the sanctuary is a part of this drain in its initial stage and is a wetland ecosystem which attracts several migratory birds during the winter season. Some of the Birds Found: Painted Stork, Black-Headed Ibis, etc. Undoubtedly, this is one of the most bird-rich part of the city. River Yamuna, being an important migration flyway, increases the chances of spotting even some rarest of the species. The winter season (Oct-Feb) is a good time to visit. Some of the Birds Found: Too many to cite a few! There are many other interesting sites which have a lot to offer as well. These include the Roshanara Bagh in North Delhi, Deer Park in Hauz Khas, Nehru Park in Chanakyapuri, the Jawaharlal Nehru University (JNU) campus, Archaeological Park in Mehrauli and the Bhuli Bhatiyar Ka Mahal in Central Ridge. Happy Birding! Top image by AA via Flickr. Harshita Upadhyay is a Mass Communication student in University of Delhi. She believes in the power of words and is currently interning with the Delhi Greens Organisation.